Unlike the West, where pagers were considered a downmarket product, in India, they became a status symbol. 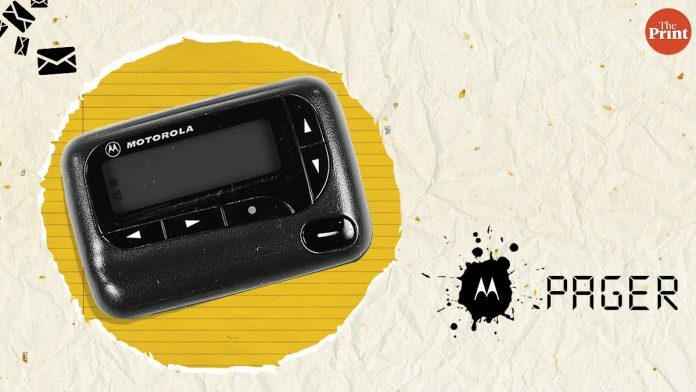 The journey of the pager–a small, flat instrument usually tucked onto one’s belt and used for sending urgent messages to people who were on the move–was short. It was a revolution that wasn’t quite. It was meant to change the way Indians communicated. But it came during the placeholder years between two eras–the landline and cell phone–and remained just that. The pager era didn’t fail, it was just an incremental step towards the big change. It came into the Indian market around 1995, in the early years after the economy opened up in 1991 with liberalisation. Unlike in the West, where pagers were considered a downmarket product used primarily by the courier service providers, in India, they became a status symbol. The pager’s instant success here reflected the potential of the Indian telecom market. “Pagers reflected the first sign of mobility messaging. It was fashionable and more than that, it was a status symbol. While it was a tool needed for communication, it also, in turn, communicated your socio-economic status,” brand guru Harish Bijoor, told ThePrint. The messages sent on pagers had to be short, crisp and telegraphic in nature. It made life a little easier for the Indian professional on-the-go. Within a couple of years, it took the market by storm. Pagers provided flexibility, mobility and the much-needed boost not only to the businesses but also to the burgeoning ‘yuppie’ population. It was a device with a small screen on which messages popped up with a beep as and when they were sent through a centralised caller-based system. It required the sender of the message to call the system and leave a message that would flash on the receiver’s pager screen. Companies such as Motorola, Mobilink, BPL and Pagelink were quick to foray into this unventured territory. Motorola, in fact, emerged as the biggest player, enjoying about 80 per cent of the market share. Bijoor himself used a pager—but only for about three months. “Pagers were expensive in the initial stage…I remember having bought my pager for about Rs 10,400 but I would have used it for not more than just a few months,” Bijoor recalled. Today, the device is a collector’s piece for him. “I will keep the pager, it will become my museum piece,” he said. For companies providing pager services, the subscriber base touched about 2 million in 1998. Though the mobile phone too made its advent in the Indian market around the same time, its usage was limited in the initial stage due to high costs. Mobile operators charged for both incoming and outgoing calls at that time. The cell phone was an elitist option and, overnight, the pager lost its status symbol appeal. It became the means of mobile connectivity for the poor. But this divide of cellphone-haves and have nots also changed rapidly with mobile operators working to lower their costs. By 2002, the number of pager subscribers dropped to 5,00,000 and companies found the business unviable. Even Motorola, which dominated the pager market, switched to manufacturing mobile phones. The company, in 2002, decided to stop manufacturing or servicing pagers. “I had been given a pager by my company…though it was strictly for office use only, we often used it to send crazy, funky messages, just for fun. It was just before the boom of the mobile telephony and clearly it showcased an India, which was at the cross-roads,” a senior executive engaged with a large multinational reminisced. So long to that charm of the beep.